I can still remember the first time I was asked to evaluate a test, or write a report card as a first year teacher. It was necessarily a heavy task, one which I took very seriously. Assigning a mark to someone’s work, be it a grade 3 poem or an undergraduate essay on soil remediation of polycyclic aromatic hydrocarbon contamination, has always been an onerous responsibility. So, you can imagine the pressure I felt when I was asked if I would like to participate on the jury of the Malt Maniacs Awards for 2009. Over 206 samples from distillers well known, not so well known, large, and small, to judge… blind. One of the reasons I started scoring whisky is because evaluation is what I am trained to do for a living. To the layperson, the amount of training and discussion that goes on within my profession on the topic of “assessment and evaluation” is simply astounding. Our employers, the boards of education, spend a considerable amount of time and money trying to help teachers, new and old, to understand the new thinking on evaluation. One thing is for sure, rarely do we carry out evaluations blind! The rare exception is the standardized testing that the State imposes on our students to measure their performance. Most of the time we are scoring eyes-wide-open (EWO), if you will. Evaluating anything EWO means that you have some sort of idea about what to expect from the producer of the work you are judging. The usual fare for Little Jimmy’s paragraph writing is a few capitals left out, a missing indent, BUT his ideas make perfect sense, his details are well articulated, and he includes a subject and concluding sentence. I know this, I expect this from Little Jimmy, and I use this historical evidence as a baseline when scoring future work…much like a whisky juror might use his Glenlivet 12 yo as a control dram. When scoring whisky, knowing what to expect from the distillery also allows us to be on the look out for any flaws, missing notes, or off-notes. However, the EWO approach also introduces some bias into the measurement. Sometimes, you might think that you are sensing something because it’s presence has been suggested so many times that you might think it is actually there. One needs to always be mindful of these phantom notes, and with discipline and practice, one can focus exclusively on the dram in front of you. As a rule, I try NOT to read anybody else’s taste notes prior to nosing and tasting. Another obvious 800 pound gorilla in the room is of course the age statement. This type of bias is a testament to the marketing savoir-faire of the salesmen peddling malt whisky to the four corners of the globe. We now feel hesitant to give poor marks to an old whisky relative to a young one. We feel far more comfortable second-guessing our own sensory abilities than we do a venerable old 25 yo malt! Well, this is by far the most important reason that the Malt Maniacs conduct their official scoring blind. 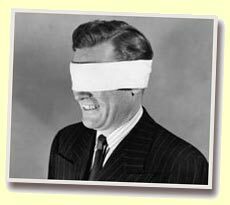 In my next E-pistle, I will be putting my organ to the test by evaluating this year’s array blind. Now I DON’T want to get into a discussion about evaluation – or scoring – this has been done many a time on your favourite whisky forum, but I will give you my perspective on some alternatives. As a teacher I have encountered many types of evaluation scales. As a university instructor, numerical grades based on the number of correct answers is still commonplace. In the public school system, rubrics are now in vogue. A rubric is a two dimensional grid with one axis containing the levels 1-4 (4 being the best), and on the other axis the various criteria that are being assessed. Theoretically, the achievement level most often observed is assigned to the work. Most teachers often complain that rubrics are cumbersome to use and often produce mono-disperse data (the same results over and over again), so I can’t really recommend this approach for whisky evaluation. Checklists are also a method that is used to assess work. However, one must have some idea of what you are looking for in the first place. For instance, in order to apply this to whisky scoring, one would need to generate a list of aromas / notes that one might expect from a malt, then check them off. One could also generate a list of off-notes that one would not want to sense. Obviously, checklists would also be cumbersome to use and would be difficult to summarize into an evaluation that is accessible to the layperson. Of course we might also consider the current “cause celebre” in the education world, allowing the students to evaluate their own work… Yeah like THAT’s going to work with whisky producers! At the end of the day I will say this: “numerical scoring is like democracy, it is the worst form of assessment and the best form of assessment”. Yes, you can quote Winston and me on that! Having said all of this, here are a few drams that I have scored EWO. I have used my own experience and tastes to come up with a quality statement that is described on a scale of 0-100. What the hell, I’m a teacher, I’m going to give each one a letter grade too! AFTER having done your own nosing and tasting, why don’t you have a look to see if our palates are similar. In a future e-pistle, I will be scoring the Malt Maniac Awards samples BLIND… I’ll give you my impressions of that experience in contrast to this EWO tasting. Colour: gold-amber hues Nose: sherry, nuts, smoke is subdued. Sweet smoked bacon. Saltiness or maritime air. Some mineral or chalkiness. Palate: Sweeter than usual. A sherried nuttiness. Peat smoke packs a bigger punch on the palate. Fades quickly and combines with the sweet notes and medicinal notes. VERY peppery as expected. great balance. Finish: long on smoke and new bandages (now I know what Serge means by this). Comments: The only off note was the chalkiness which I didn’t enjoy on the nose. 87 points. A-. Colour: Gold Nose: sherry nuttiness, porridge, ripe fruit, and vanilla. Palate: Honeycrisp apples followed by vanilla. Some decent oak spice towards the front of the palate, a little in the middle. Sweet apple juice and a malt cereal aroma Finish: on nutty sherry, vanilla, and lager beer. Comments: definitely a lighter malt. At first I wasn’t impressed. Subsequent tasting won me over on the palate and the nose to rate it 79 points. B.
Colour: Bright gold, sweet white wine Nose: Nuts and sherry. Flowers or perfume with a very subtle bed of heathery smoke. A hint of orange peel. The signature bee’s wax is very faint but seems to round out the nose. Palate: Slightly oily, lending good weight. Coats the entire palate with a good dose of spice. Ripe tree fruit, nuts, and a nice dose of salt balance this out nicely. The waxiness is also present on the palate, similar to eating honey from the comb. Finish: Surprisingly long on lemony peat smoke, nuts, and beeswax. Comments: This is simply beautiful. The smoke is a surprise that you don’t expect from the nose. However, it’s the balance and interesting combination of aromas that makes this one so distinctive. I will definitely replace this when it’s gone. 85 points. B+. Colour: Light amber Nose: Sweet, honeyed, sherry. Some hint of heather and maybe some VERY gentle smoke. A real pleasure to nose, though it isn’t extremely complex. Palate: the attack is at the front of the palate and the sides. Very sweet. Honey and sherry come through. Not complex at all. Some raisins followed by very subtle sweet burning heather. Finish: Chewey smokiness. Shortish. The sweetness of this dram really overpowers everything else. 114 $ CDN/bottle?! 77 pts B.
Colour: gold Nose: Starts of a little grainy and spirity. Proceeds to display some pronounced vanilla and bourbon aromas. Some organics emerge. With water: Some melon, but with some ash as well. The cereal presents itself like a fresh kneaded dough. A distinct sulfur note, like a lit match just put out, sweetish, appetizing. Palate: Nicely balanced! Not too sweet despite the bourbon ageing. The traditional melon and aniseed are evident. Even a slight hint of peat at the very end. The mouthfeel is slightly oily, but light in nature. The vanilla is there, but not too overpowering. Finishes on a bit of aniseed, sulfur, a little drying. A slightly bitter note at the end. Comments: Some feel that Laddies are just blend fodder… I beg to differ. 83 pts B+. Colour: Amber Nose: Peppermint, herbal essence, dandelion, burnt and fresh grass. Oily/organics, coffeish, and cumin. Palate: Peppery, minty, cinnamon, coffee/chocolate. Slightly sweet, mouthwarming. Eucalyptus. Finish: On mint, sherry-nuttiness, brown Christmas spices Comments: This is only my second time scoring a whisky so high (first time was a 22 yo Brora 93 points). I just love the unconventional combination of aromas. A pleasurable departure from the HP “norm”. 91 pts. A.